Artefact Description Plywood box with hardboard base. 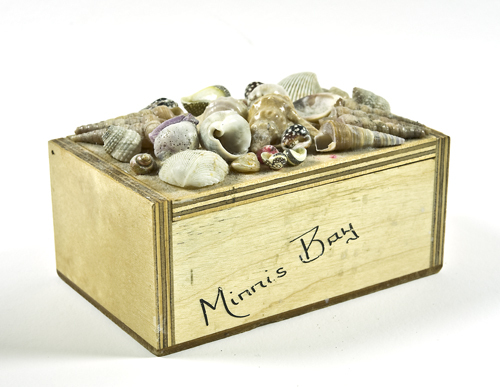 The lid is decorated with sea shells, they have been glued and varnished with some colour applied to enhance the shells natural look. ‘Minnis Bay’ is written on the front. Fair condition. A couple of shells missing.